Effective immediately, it is the policy of Bellevue Family Practice to monitor and manage “no show” appointments. This is necessary to ensure that we are able to provide timely access for all patients to our providers. Undue numbers of unutilized appointments delays necessary medical care for patients. Scheduled appointments must be cancelled or rescheduled at least 24 hours prior to the scheduled appointment time. Any patient who fails to arrive for a scheduled appointment without cancelling the appointment 24 hours prior to the scheduled time is considered a “no show”. After an established patient has three “no show” appointments, that patient and any person who is a guarantor for, or guarantee of, the account in question may be discharged from our practice and asked to seek healthcare with another physician. There is a $25-$50 charge for “no show” appointments that will be billed directly to you. 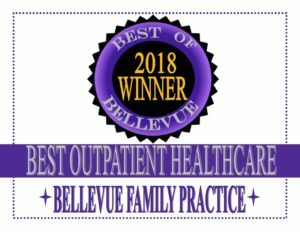 Patients seeking to establish care with Bellevue Family Practice who fail to cancel or reschedule their initial appointment at least 24 hours prior to the scheduled appointment are also considered a “no show”. The second instance of failing to keep their initial appointment as scheduled will result denial of entry to the practice.